Flashing between past and present, a fractured family confronts haunting memories of their old home and the terrifying events that drove them from it. This week on Stinger, Shannon and Fadra discuss The Haunting of Hill House. Please subscribe to Stinger on Apple Podcasts or your favorite podcatcher app. Subscribing is free and ensures you’ll be notified when new episodes are published. And if you enjoy Stinger, please rate and review us and tell your friends! Thank you for listening to Episode 38 of Stinger TV and Movie Podcast! 14:50 – We start out with some general comments about the show, before we get into spoilers. 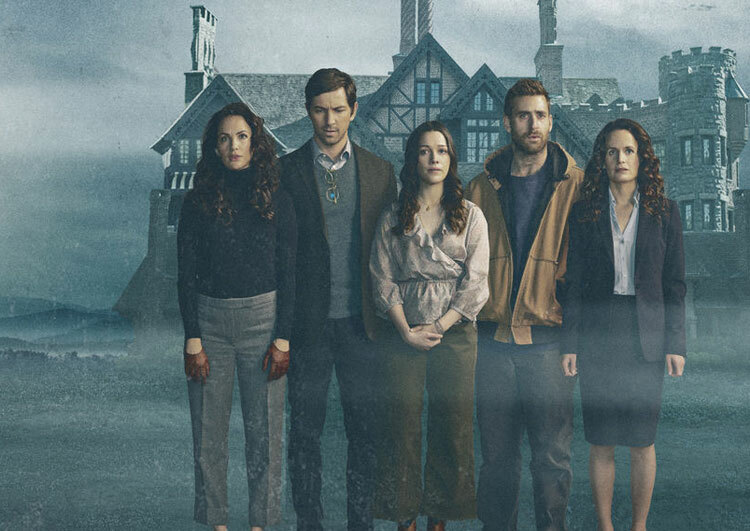 17:21 – SPOILER WARNING: The rest of this episode contains major spoilers for The Haunting of Hill House. Shannon and Fadra talk about the original book, the various movie adaptations, the actors, the production and directing, and what they liked and disliked about this Netflix original series.